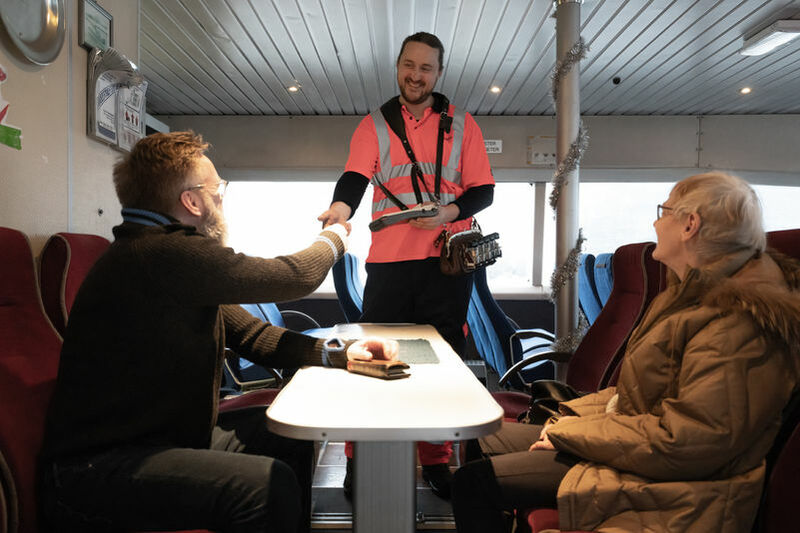 Tickets can be purchased on board all modes of public transport in Sogn og Fjordane, and you may pay both with card and cash. It is not possible to buy tickets online for the local buses, boats and ferries operated by Kringom in Sogn og Fjordane. Tickets to express boat routes may be purchased online. By following the link below, you will be led to Norled’s online booking service. Link to Norled’s online booking service. Tickets to Nettbuss express’s routes may be purchased online. By following the link below, you will be led to their online booking service. Link to Nettbuss’s online booking service. Tickets to Nor-Way routes may be purchased online. By following the link below, you will be led to their online booking service. Link to online booking service for Nor-Way. On boats and ferries you may use all forms of payment, both credit and debit card, in addition to cash. It is not possible for travellers to make reservations for the local buses operated by Kringom in Sogn og Fjordane unless you are travelling in a group of 9 or more. Single travellers within the county don't have to make seat reservations, but are guaranteed a seat on the bus when travelling in the county of Sogn og Fjordane. Groups of more than 9 people must contact the bus company to make seat reservations in advance. For journeys with Nettbuss Express and Nor-Way Bussekspress in our out of Sogn og Fjordane you may have to buy a ticket in advance on nettbuss.no or nor-way.no. For reservations on express boats and express buses see the paragraph above.